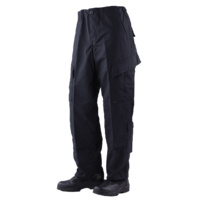 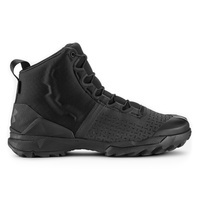 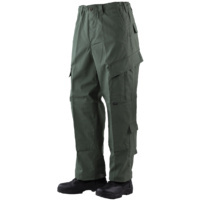 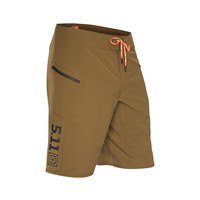 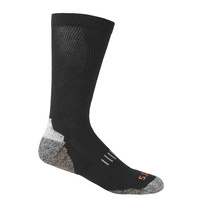 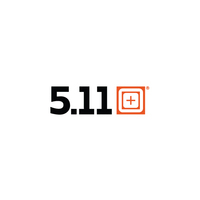 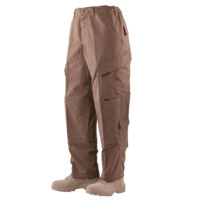 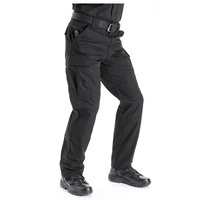 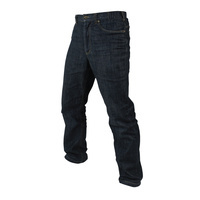 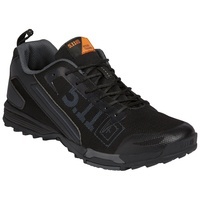 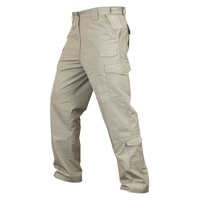 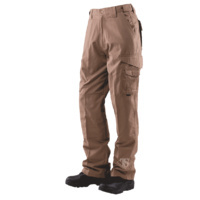 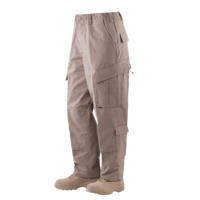 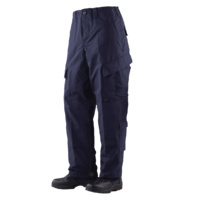 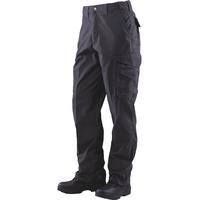 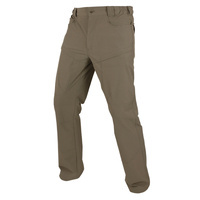 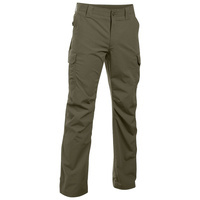 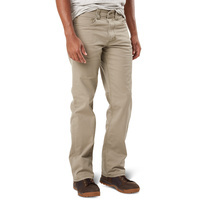 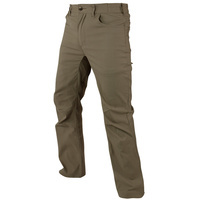 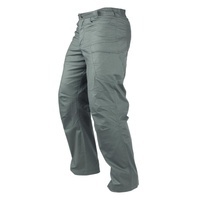 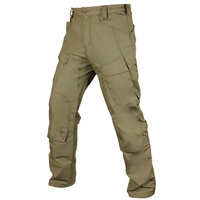 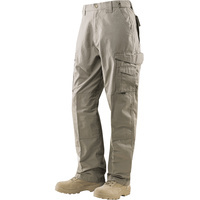 The 5.11 Tactical Stryke pants sport a crisp, professional appearance with plenty of hidden functionality. 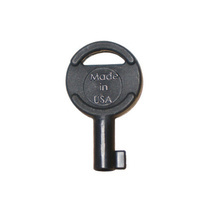 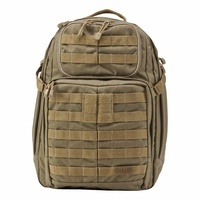 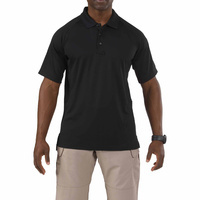 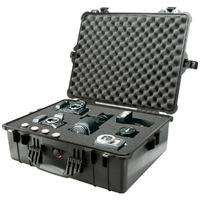 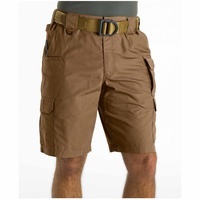 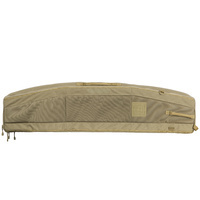 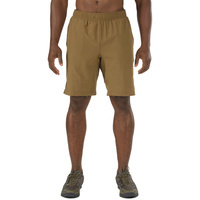 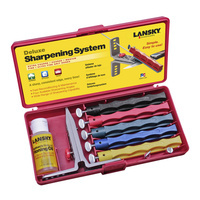 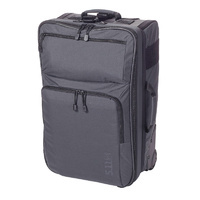 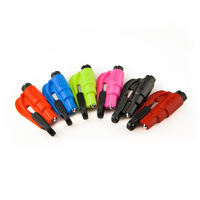 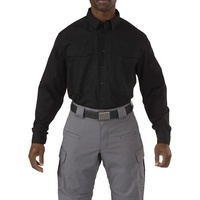 The front hip pockets are designed to fit a knife or a cell phone while the double-deep, double-reinforced angled cargo pockets provide plenty of secure storage space. 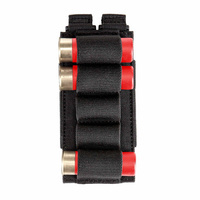 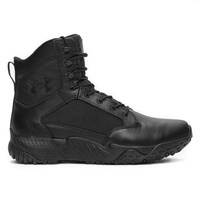 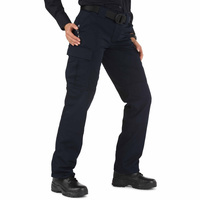 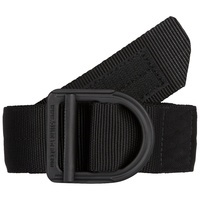 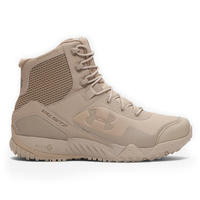 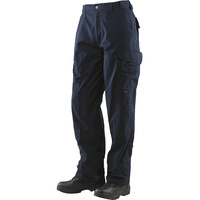 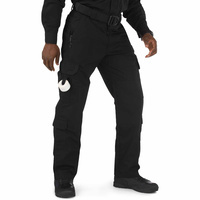 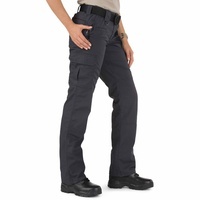 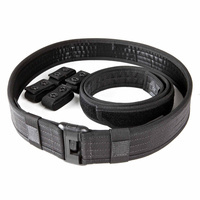 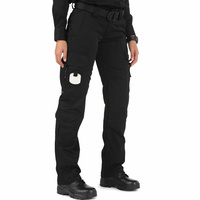 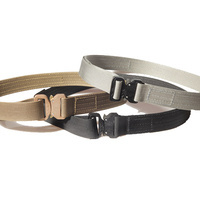 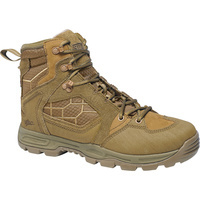 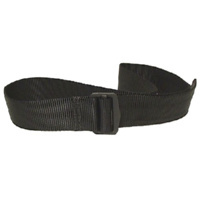 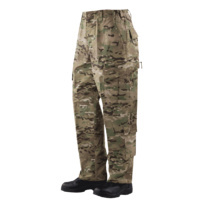 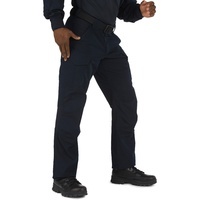 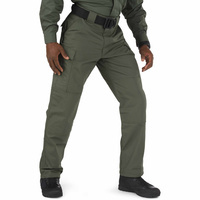 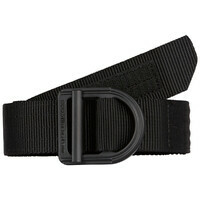 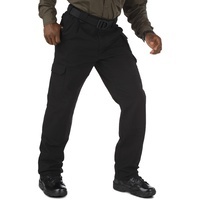 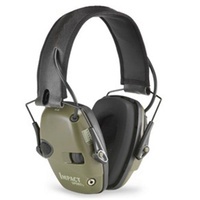 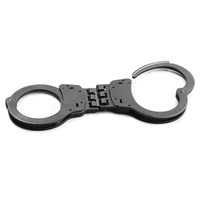 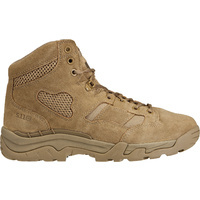 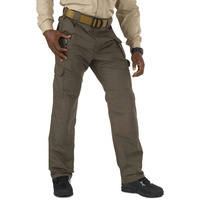 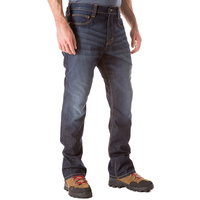 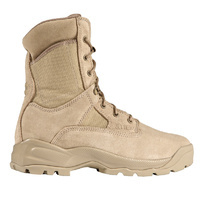 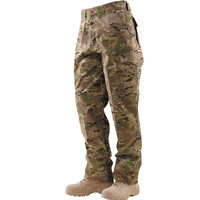 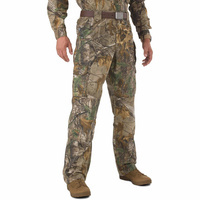 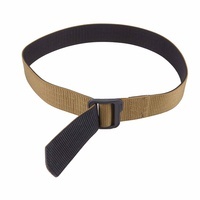 For on-duty use, the pants feature badge holders on both left and right front belt loops and internal knee-pad pockets. 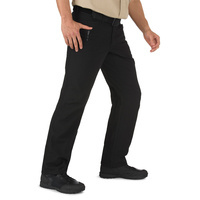 In order to maintain maximum mobility, these pants feature 5.11's proprietary Flex-Tac fabric, a stretchy polyester / cotton fabric blend that still holds up tough. 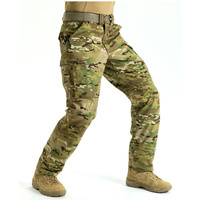 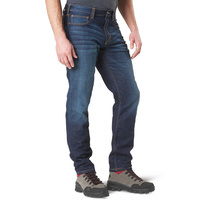 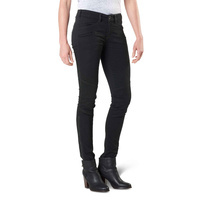 Articulated knees, a tunneled elastic waistband and gusseted crotch also contribute to extreme freedom of movement. 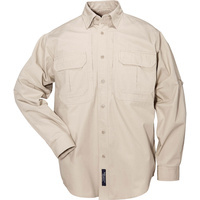 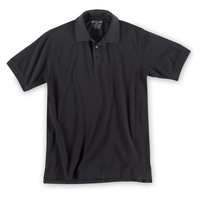 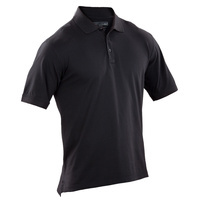 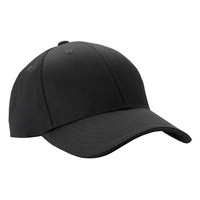 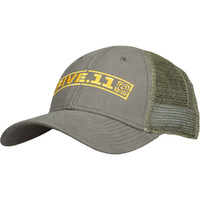 To top it off, the entire garment is coated with a Teflon treatment that repels water and increases stain resistance.